Notes: Originally called the "Monkey-faced Louise", until receiving the name Carey Special. It was aptly named the Carey Special from its originator, Colonel (Tom) Carey of Quesnal, BC. Doctor Lloyd Day of Kelowna found a groundhog on his fishing trip to Arthur Lake in the late 1930's and asked Colonel Carey to tie a fly from the hairs. It was designed as a dragonfly nymph or an emerging sedge pupa which would be slowly retrieved through stillwaters. The original version used the Groundhog hairs for the tail and body. The body was ribbed in reverse with black silk thread. The collar was of two Chinese Pheasant Rump feathers with several turns each giving a thick collar that swept past the tail. Today, the Carey Special is usually tied with pheasant rump rather than groundhog. Many body colors are added to the Carey style using chennille, floss, peacock, and various dubbings for the body along with ribbings. 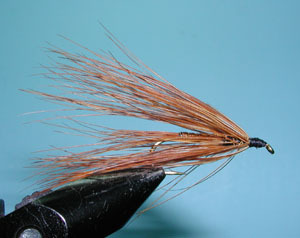 Commercially-tied Careys will often have the collar hackle rarely longer than the tail. 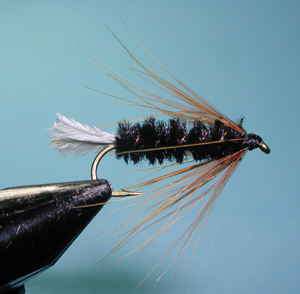 Most modern Careys will also have a more sparsely wrapped collar hackle of one or two turns. The tails of many modern Carey's will also use Marabou rather than the traditional Pheasant Rump tips. The "Self Bodied" Carey uses only the pheasant rump for both the body and the hackle. 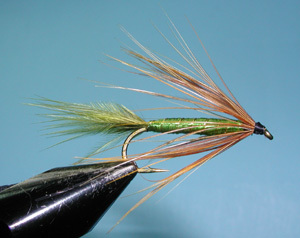 The Black Carey Special represents the dark dragonfly nymphs within stillwaters and the Olive Carey Special will represent both dragonfly nymphs and olive sedges. 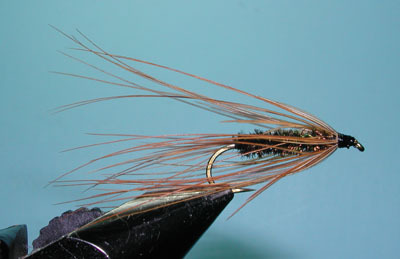 A Carey Special can simulate many insects, including dragonfly nymphs, caddis nymphs, mayfly nymphs, and leeches. By wrapping the collar hackle sparsely, it makes an excellent damselfly nymph imitation. The Carey is by far one of the most popular lake fishing patterns in British Columbia. It is an exceptional trolling fly, and a great searching pattern. The most common way to fish the Carey Special in Sierran lakes, is to troll the fly on or near the bottom with a full sink line. At other times, success can be found while trolling the fly at intermediate depths, or near the surface. Often variations in the retrieve will elicit strikes. Short tugs of about 2 to 3 inches, or long slow pulls of about 8 to 12 inches, followed by a pause should be tried.